IRS has announced the 2109 tax rates, standard deduction amounts and more. Forbes magazine has posted the information in a very easy-to-read format. We encourage you to discuss charitable giving with your tax professional. If you are interested in giving a donation to the Foundation, please contact Angie Tatro at 316-283-5474. The end of the year is an excellent time to give charitably. Donate to the CKCF Community Impact Operating Fund as part of our $100,000 giving campaign, Benevolence & Beyond. Thank you for your show of support during the 2018 #givingtuesday event – we love our donors and volunteers! There is still time to donate to Central Kansas Community Foundation. A gift to the CKCF Community Impact Operations Fund as part of our Benevolence & Beyond campaign will ensure the Foundation’s continued growth for greater community impact!! Joel did not grow up in Newton, but had a lot of family from this area. He attended Bethel College where he met his wife, Crystal Enz, and decided to start a family in Newton. They have two boys, Collin and Brett. Joel spends most of his free time building his business, Flint Hills Design. 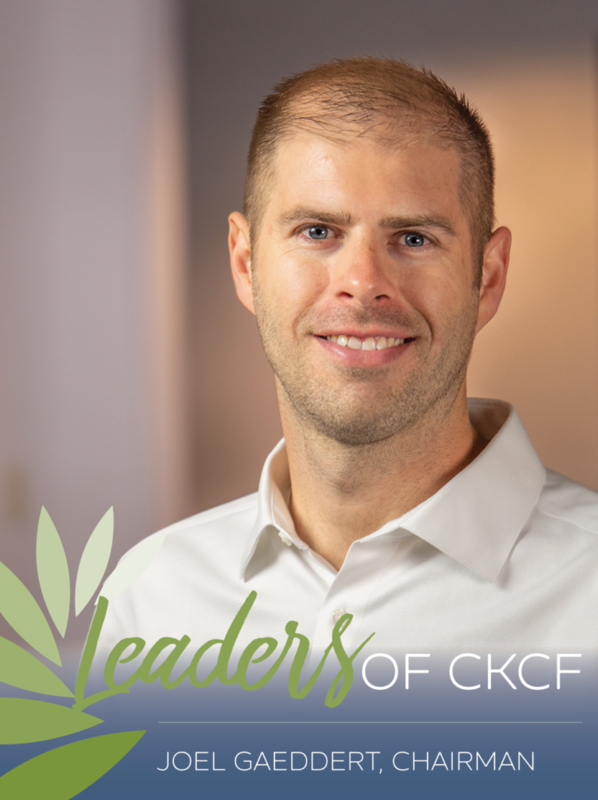 Joel started Flint Hills Design a little over ten years ago, mainly designing websites for local organizations, one of the first being the website for CKCF. While he remains loyal to his roots in website design, he has shifted the primary focus of the business to museum exhibit design and fabrication. He finds the work fun and rewarding, certainly a gift. JOEL IS PASSIONATE ABOUT CKCF! He got involved with CKCF at the request of another board member. While he was familiar with the work the Foundation had been doing in the Newton area, he didn’t realize the extent of the impact until considering joining the board. He was surprised to learn about the amount of money given back to the community every year, and it encouraged him to get involved in hopes of further promoting the organization and the good work CKCF is doing. During his tenure as chair, Joel would like to see increased awareness of the work done by the Foundation, not only in the Newton area but in each of the areas covered by the 21 affiliate foundations. CKCF has a compelling mission and story – he hopes to build that story in a way that engages an even broader segment of the population. It will be good for the foundation, the organizations it supports, and ultimately the people and communities it impacts. In addition to serving as board chair for CKCF, Joel is involved with a few other organizations in the area, most notably as a board member on the Harvey County Economic Development Council and as a co-owner of Prairie Harvest in downtown Newton. The thread that connects his work with each of these organizations is quite simple: He is passionate about making this place we call home the best that it can be. He wants to do work, here, that has a real impact, now. 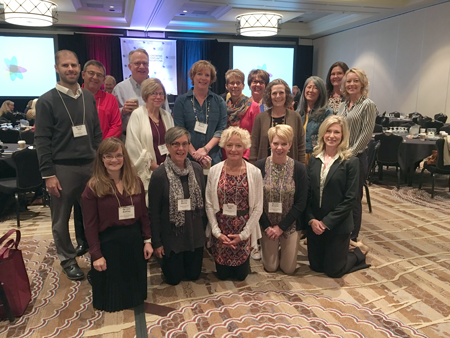 Central Kansas CF staff and affiliates attended the Kansas Association of Community Foundations 2018 National Conference for Growing Community Foundations. 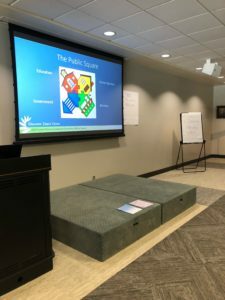 Among many topics, staff attended sessions regarding legal and compliance, management, board development, grants and marketing and communications. 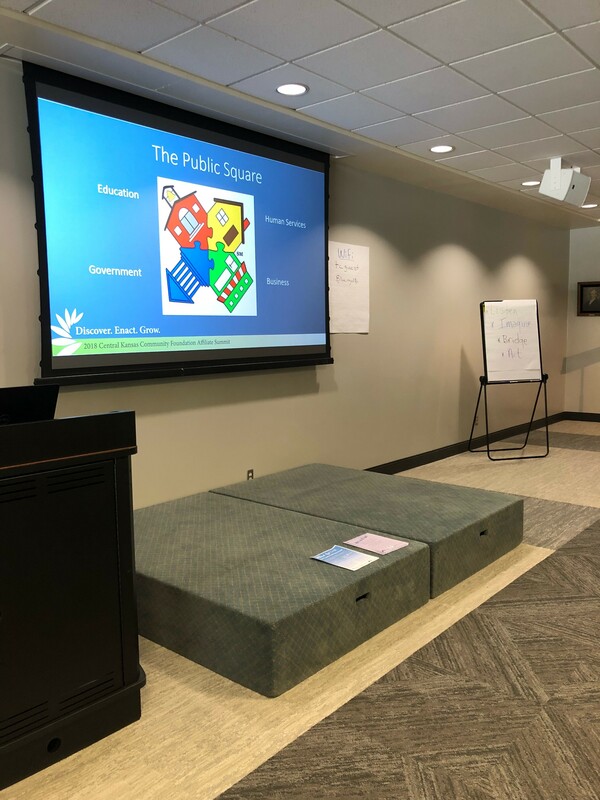 We are very excited to implement the ideas garnered from the sessions to create a stronger community foundation serving your community. In addition, we recognize Angie Tatro, CKCF Executive Director, for her leadership as conference committee chair. Many long hours went into planning for a successful conference with cutting edge information and ideas. Customized Giving that leads to your legacy. Consider establishing your own fund. 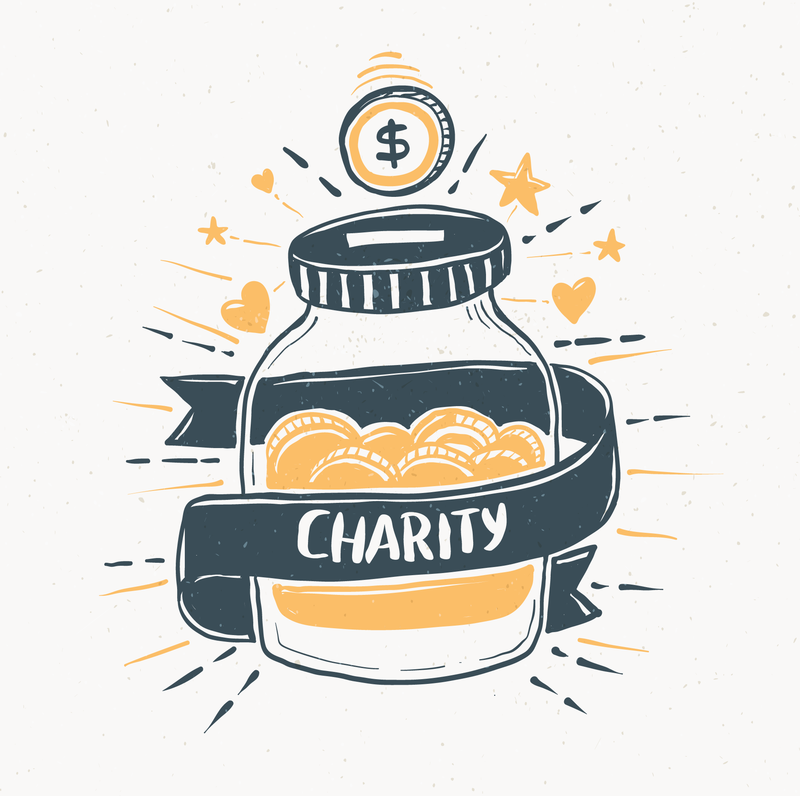 You may wish to start a new endowment fund to benefit the charity or charities important to you, support a particular field of interest, or provide scholarship monies. The fund may be named in memory or honor of a loved one or influential person in your life. Individuals, families and businesses can establish personal charitable funds. Todd is currently the Chief Financial Officer for Newton Medical Center. 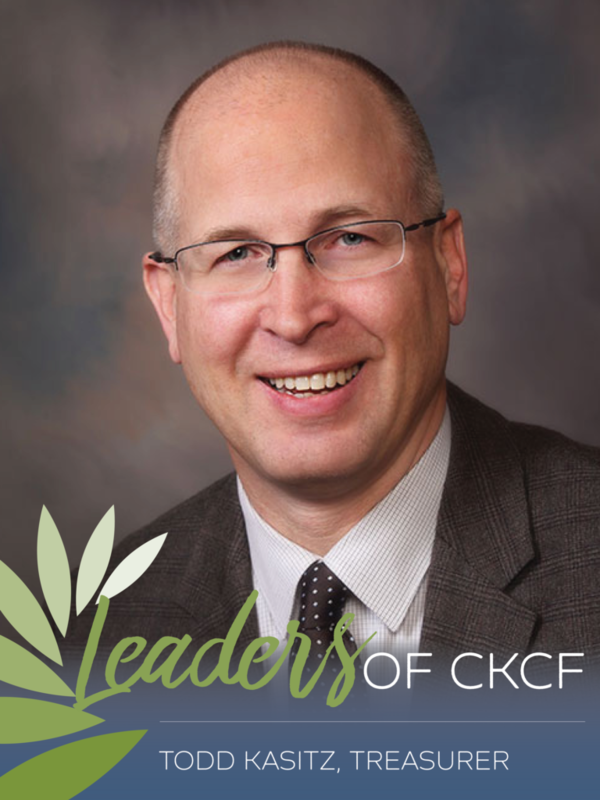 He serves as Treasurer for the Central Kansas Community Foundation. When not using his talents to serve his community and create a better hospital experience for Newton and surrounding communities, he enjoys spending time with his wife Debra and their four boys, ages 14-22. He is happy to be involved in community organizations that make a difference! We love when our grant recipients promote their mission and educate the general public about the unique challenges that face the groups they serve. Communities in School is a great example of our charitable dollars at work. Locally, CIS was awarded $2,500 for their work with children and families at the El Dorado Middle School. We are proud to support them with a 2018 Kids FUNd grant award! The 2018 CKCF Affiliate Summit truly placed the power for community change and foundational growth in the hands of our affiliate organizations. on grants funded 138 programs with a total impact of $184,553. The need was far greater, in the amount of nearly $500,000. $313,614 in grant requests were not funded. CKCF awarded 110 scholarships in the amount of $108,933. Several new accounting procedures and foundation policies were implemented to continue to operate within National Standards and industry best practices. A general tone of a relational focus was sprinkled throughout the Summit. The Central Kansas network of foundations has a tremendous opportunity and responsibility for shining the light on needs, while also engaging donors with charitable intentions. Partnerships and alliances are growing stronger in our region, demonstrating the strength of rural Kansas and that it has citizens who wish for a better tomorrow for future generations. these sectors that meaningful change and community growth can happen. His hands-on small group exercises encouraged participants to listen to the needs in the communities, to identify and evaluate the strengths of each sector in the group and come up with ideas to solve a communal problem they each individually identified. He partnered participants with individuals form other communities as a means of building support and accountability. This “buddy” relationship will be in place for this coming year! 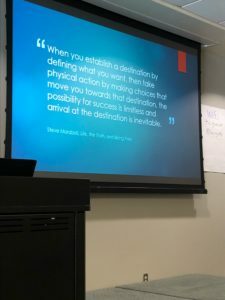 how affiliate foundation volunteers can use integrated marketing and fund development to achieve their strategic goals and increase their community impact. The power of the affiliate organization lies in the creativity of its planning, which is becoming increasingly more important as we move to a more developmental approach to build community endowment. Development is the idea that we create and hold onto relationships with potential donors through meaningful outreach and interactions, with a goal of philanthropy. A good integrated marketing plan supports a strong development plan. In the coming months this will be integrated into board discussions as plans are designed for local needs and goals. As we move forward, CKCF will partner with each affiliate organization to identify high level goals and put a development plan in place to have a guide to create relationships, grow funds, increase giving and emerge as recognized community leaders. Be Ready. Be Resilient. CKCF and our affiliates are prepared to activating Community Response Funds in the event of local man-made or natural disasters. Donors seek reputable resources for their gifts for recovery. We are that local partner. We regularly post information regarding our disaster preparedness initiative HERE! While Jennifer moved around with her father’s Air Force career during her formative years, she spent the most time growing up in Norcross, Georgia. After graduation, she moved to Kansas and has lived in Newton since 2003. She married Alan Vogts and together they have a blended family filled with 6 children, a son-in-law, two grandchildren and two soon-to-be sons-in-law. She enjoys spending time with family, attending the kid’s sporting events, running, reading, listening to live music and watching movies. For the past 12 years Jennifer has been a stay-at-home mom. Remaining connected and engaged in the Newton community in meaningful ways is very important to her. Therefore, sought involvement with the Women’s Community Foundation, Leave a Legacy, North Newton Community Foundation, Central Kansas Community Foundation and others. This allows her the flexibility to balance her time and attention on the needs of her family while making a positive contribution to other endeavors outside of her home. Currently, Jennifer also works as needed with Alan’s companies, Vogts Construction and Vogts-Parga Construction. JENNIFER IS PASSIONATE ABOUT CKCF! CKCF’s mission is building stronger communities through charitable giving. Jen firmly believes that is what is going on in Newton and in CKCF’s Affiliate service areas. It is very rewarding to see so many people, many of them her friends and neighbors, investing their financial resources as well as their effort and time generously and strategically back into their communities. 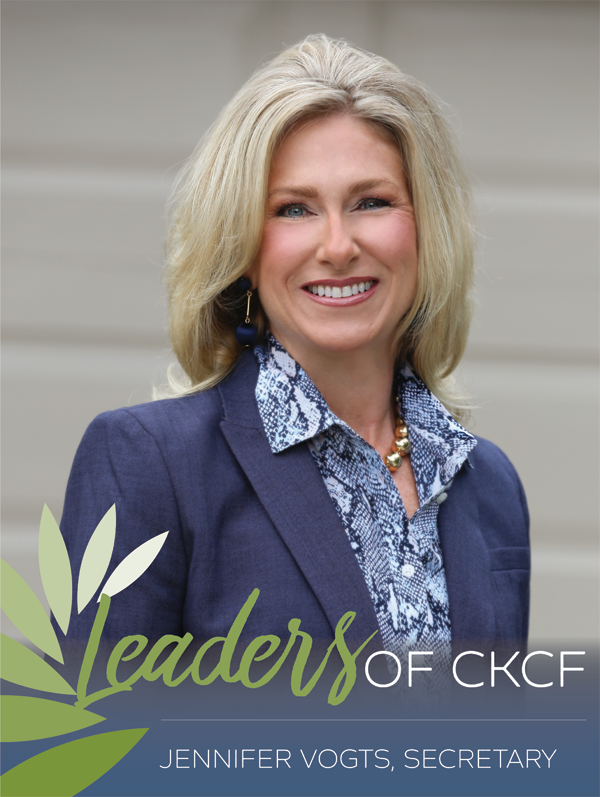 The difference a donor’s charitable contribution makes on the lives of people living in our communities is tremendous, and she is honored to get to see that first hand as a CKCF board member. She is so proud of the work CKCF does as a team. CKCF touts capable and talented leadership, and staff and board members work well together, and they have a lot fun while they’re at it! As a result, CKCF assets have grown to over $22M across 380 funds producing over $1M in grants each year to help make communities stronger and life better in many areas like animal welfare, health and human services, science and education and arts and culture. She is very thankful for the opportunity to be a part of something so significant to others and impactful on the world around her! In addition to her profound commitment to CKCF, Jen serves the North Newton Community Foundation, Newton Area Woman of the Year, SafeHope and Big Brothers Big Sisters serving Harvey County. She is also involved with Junior Reading Circle. Jennifer is related to Noah Webster – they are cousins! He was an American lexicographer, textbook pioneer, English-language spelling reformer, political writer, editor, and prolific author and was the author of Webster’s Dictionary. Also, Al and Jennifer watched all 7 seasons of Game of Thrones in three weeks!